In this two-part episode I sit down face to face in the studio with a local investor Amanda Young. 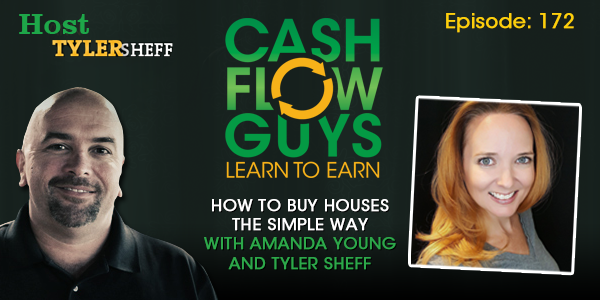 Amanda has been investing for many years now, beginning as a buy and hold landlord and later including house flipping to her resume. Amanda believes in getting face to face with the sellers while taking the time out to build rapport with them before trying to buy their house. In this episode, Amanda breaks down the steps she takes in getting to know the sellers and how she learns about whatever problem they may have that can be solved by the sale of their home. When we focus more on the seller’s problem than we do on the property we build strong relationships with the seller. Anyone can throw an “all cash” offer at a seller and hope for the best, but those who take time to invest in the seller will yield far greater results. Amanda outlines how she has been in multiple offer settings and won the bidding as the LOWEST bidder! Sellers that “like” us are far more likely to do business with us. People generally avoid doing business with people they do not like. To be liked we need to be good listeners which means applying that 70/30 rule. This means that 70% of the time we should be listening, and 30% of the time it’s okay to talk; BUT during that time we should be asking questions. The more we learn about the seller’s situation, the more prepared we are to help them and heal their pain. Offers that solve problems get accepted, it's really that simple.